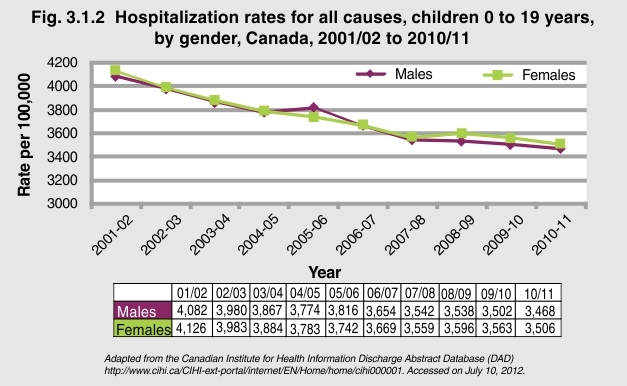 Hospitalization rates for all causes for males and females 0 to 19 years of age declined between 2001/02 and 2010/11. For males there was a 15% decline and for females a 16.1% decline. Improvements in the approaches to care and the quality of care, as well as health care reform, contributed to the decline in hospitalizations.